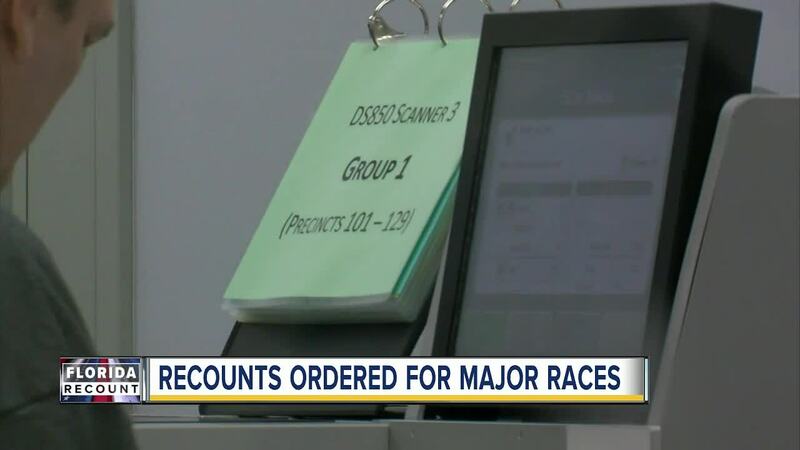 Supervisor of Elections across the Tampa Bay area are getting ready for mandatory machine recounts for multiple races. HILLSBOROUGH COUNTY, Fla. - Supervisor of Elections across Tampa Bay are getting ready for mandatory machine recounts for three races. 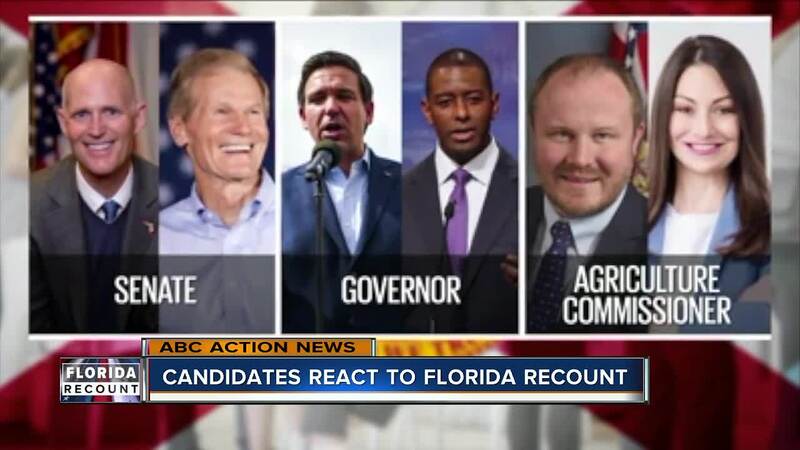 Those races are for Florida's Governor, U.S. Senate, and Commissioner of Agriculture. 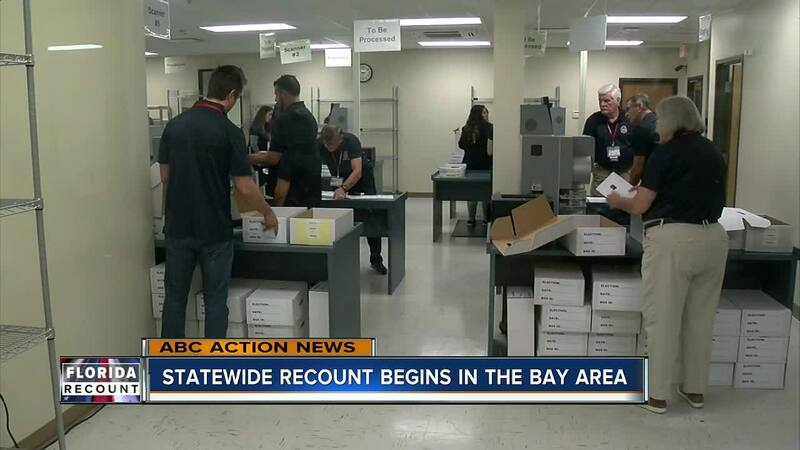 In Hillsborough County a fourth recount will occur for a State Senate seat. Citrus County Supervisor of Elections Susan Gill said her office is ready for the task. "The supervisors have everything under control. They’re going to go through this process and, again, it takes time and patience to go through this," Gill said over the phone. Gubernatorial candidate Andrew Gillum took back his concession on Saturday. "I am prepared to accept whatever the outcome is of this election so long as every single vote in this process is counted," Gillum said. Gillum's opponent, Ron DeSantis, released a statement on YouTube about the unofficial election results. "Those results are clear and unambiguous, just as they were on Election Night, and I am honored by the trust that Floridians have placed in me to serve as your next governor," said DeSantis. Rick Scott wrote on his campaign twitter page, Saturday, there are 7,500 volunteer recount representatives who will be present throughout the state to "make sure any potential issues are reported". Gillum said they will have hundreds of volunteers and lawyers who will be present too in order to make sure the process is fair and accurate. “I gotta imagine that if the shoe was on the other foot and my oppponents -not one of them- would seek a different outcome. Not one of them would stand in the way of counting every vote," Gillum said. "With the election behind us, it’s now time to come together as a state as we prepare to serve all Floridians." said DeSantis. Polk and Highlands counties begin their mandatory machine recounts on Monday. The Polk County Supervisor of Elections requested two deputies to provide security, for observation, and to ensure transparency, during the recount. The sheriff said one deputy will be a registered Democrat and the other deputy will be a registered Republican.